Ethics: resistance to the excessive use of animals. 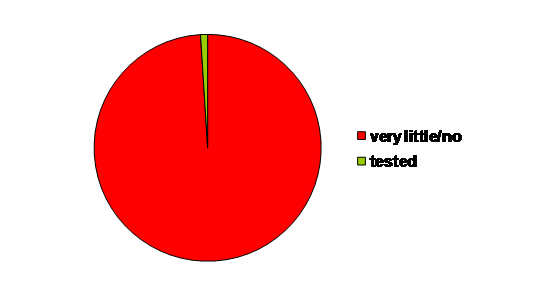 Capacity: lack of capacity to carry out these tests. Speed: the use of the same traditional methods will not allow major advances in speed of the process to be made. These obstacles necessitate the serious consideration of alternative, non-animal (in silico and in vitro) testing strategies. Reproductive toxicity testing alone will be the major consumer of animals (more than 60% of all). Therefore, it is the prime area within REACH in which alternative methods can lead to a vast reduction of animal experimentation. 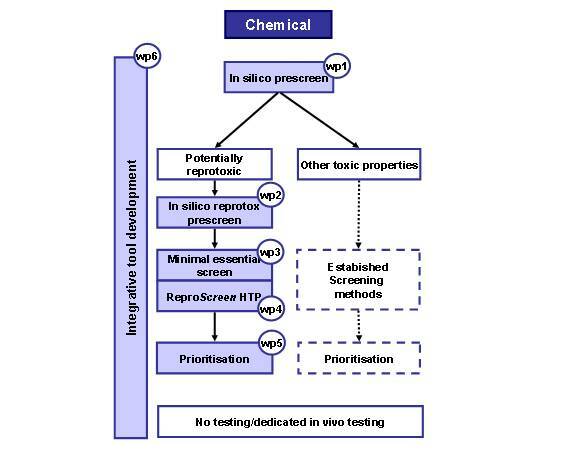 ChemScreen will focus on alternative methods to test for reproductive toxicity.